It’s pretty safe to say that one of our favorite times of the “food year” is just after Christmas. That’s when you walk into the store and all of a sudden you see it…..those little yellow packages that say the 4 words we’ve been waiting 9 months for – REESE’S PEANUT BUTTER EGGS. Well, we have a tried and true recipe that will satisfy our craving for this little goody any time of the year. 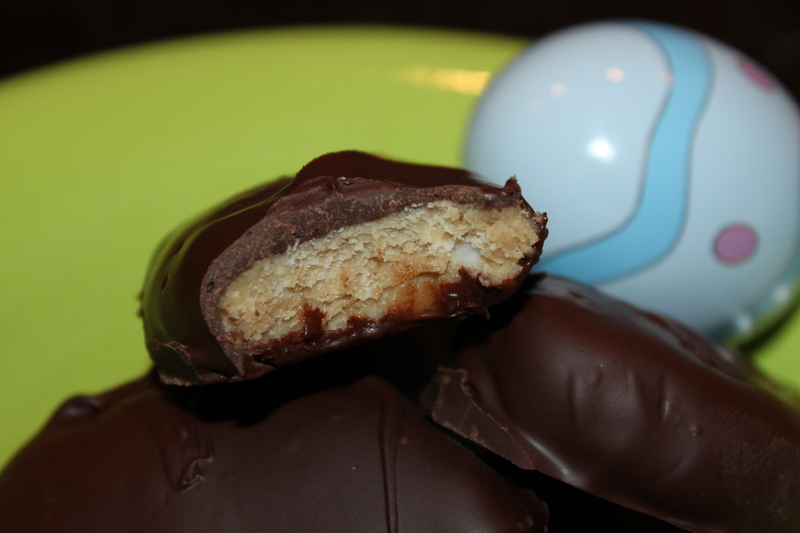 These peanut butter eggs are about as close as you can get to Reese’s Eggs without actually going to the store. Beware – these are absolutely delish. 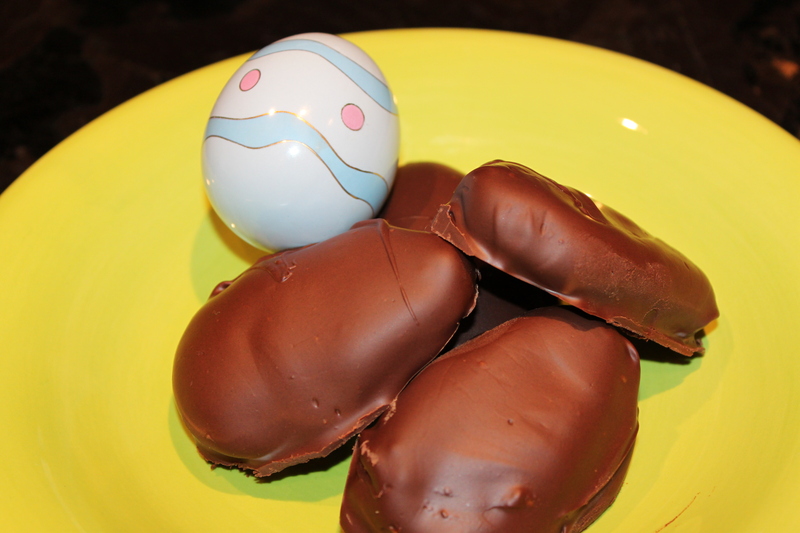 You might have to set up your own Easter Egg Hunt just so you don’t scarf down the whole plate! No, we didn’t unwrap these…..we swear! Remember our motto??? KISS – Keep It Simple Stupid. 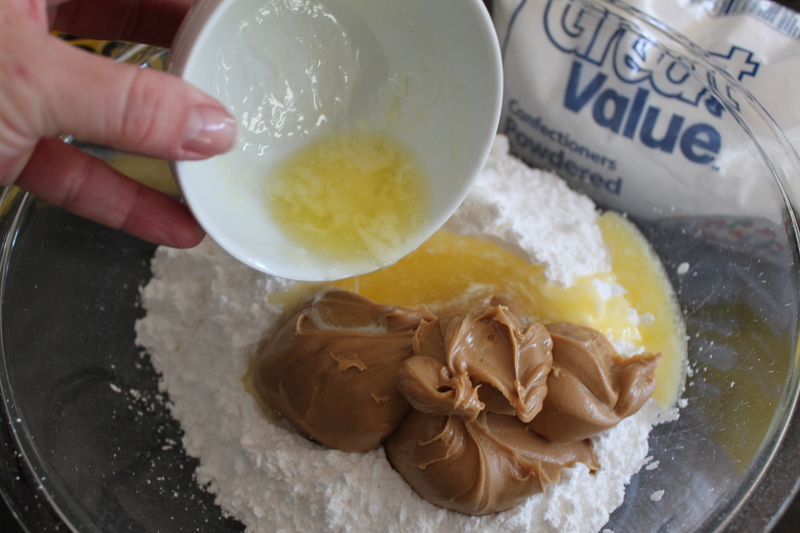 Mix the powdered sugar, peanut butter and butter together in a bowl. Add 3 tablespoons of milk. 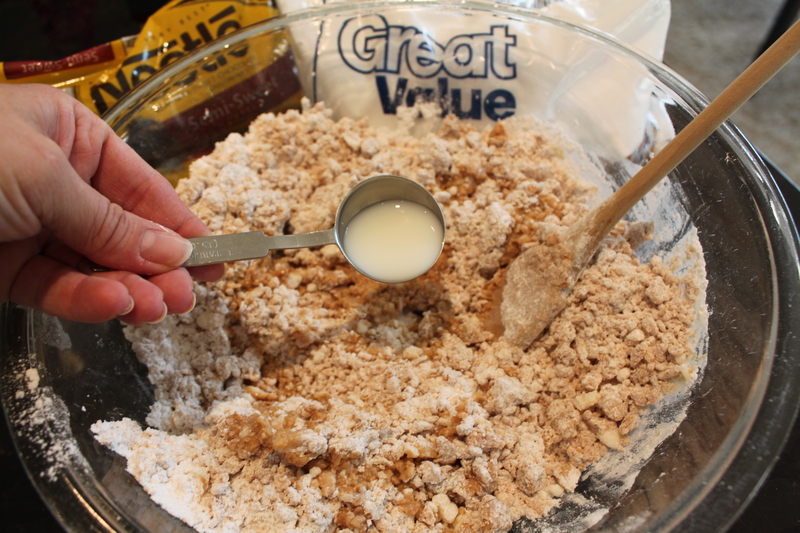 If it seems too thick and hard to handle, you may need to add 1 more tablespoon of milk – we did! Mix well. It will have the consistency of Playdoh. 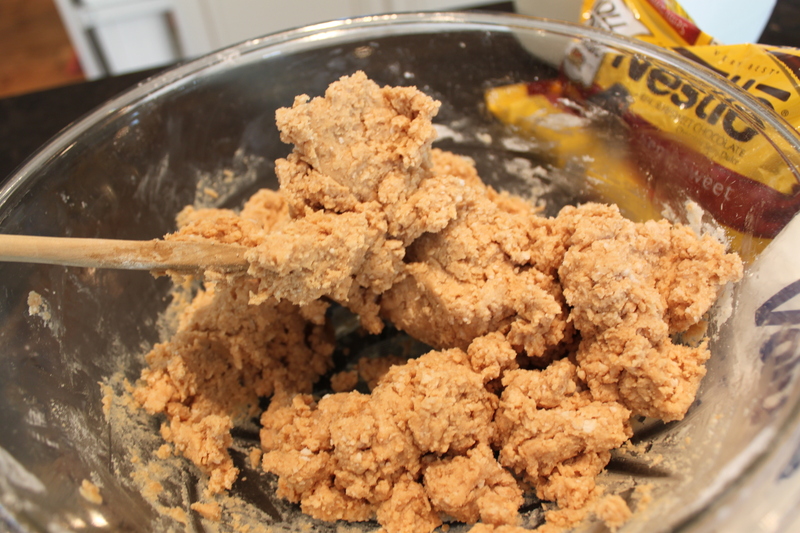 Scoop out a spoonful or two of peanut butter mixture. Form it into the shape of an egg – or as close to it as you can get. The shape will NOT affect the flavor. 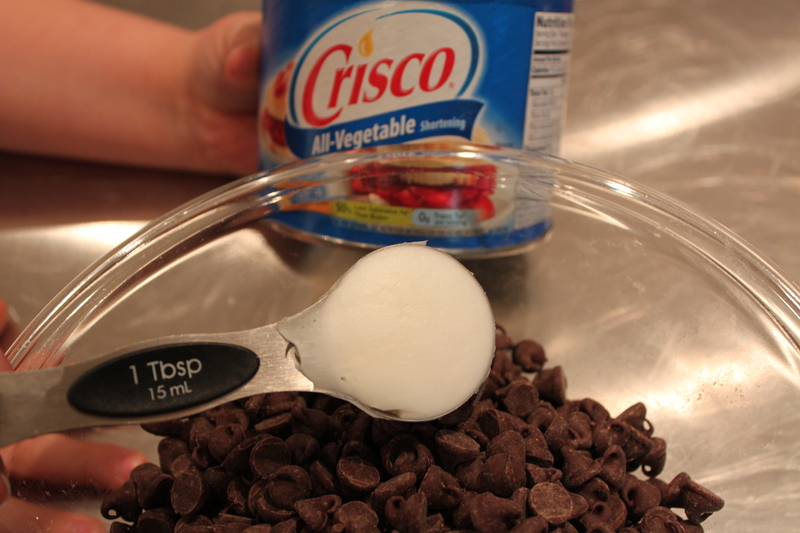 For the chocolate coating, mix one tablespoon of shortening with the chocolate chips in a glass bowl. 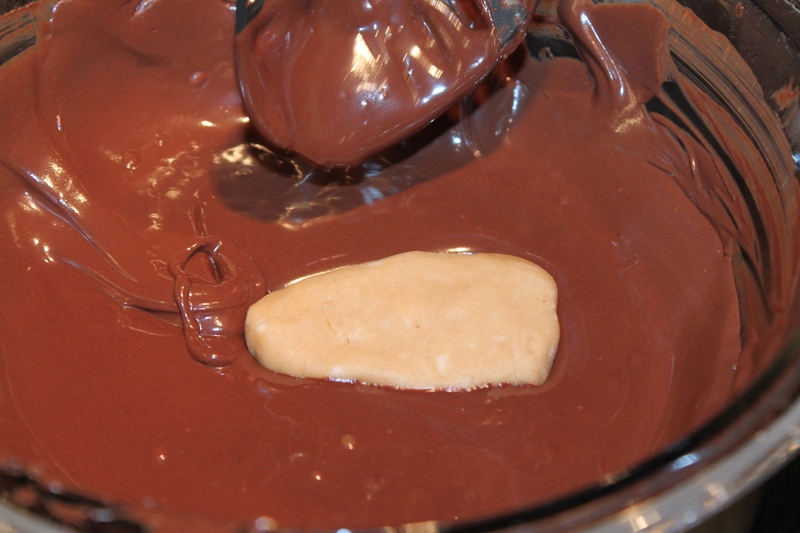 Look at that glorious melted chocolate. We did the dunking part two ways. 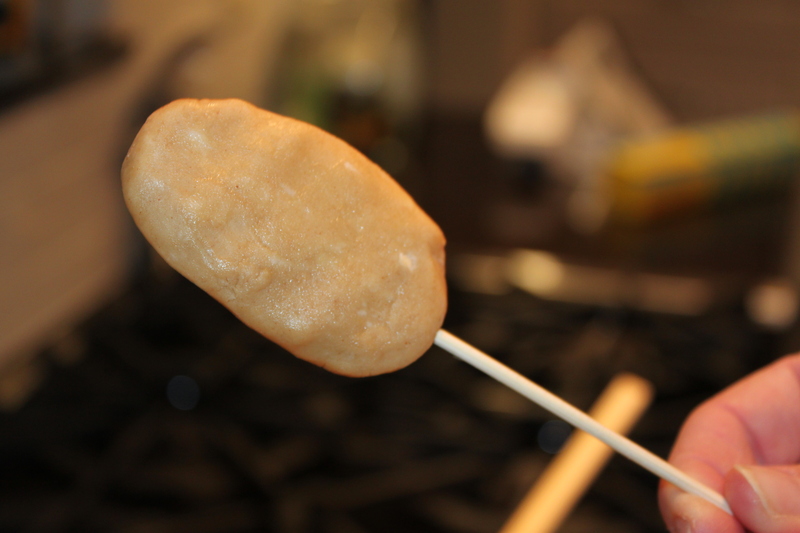 First, we put a stick in the frozen egg and dunked it. This works best if the egg is small. 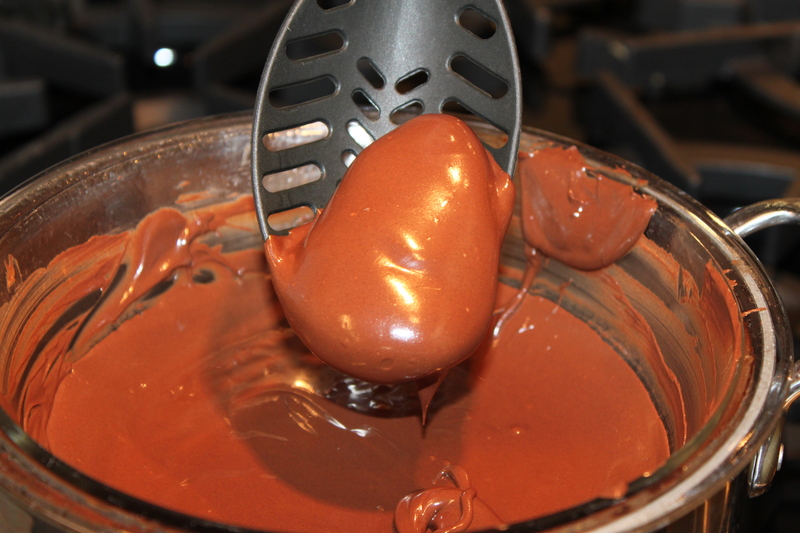 Second, if the egg is a little larger, you can just place the egg in the chocolate, scoop chocolate over it and spoon it out. We tended to go with a larger egg so we did it this way. 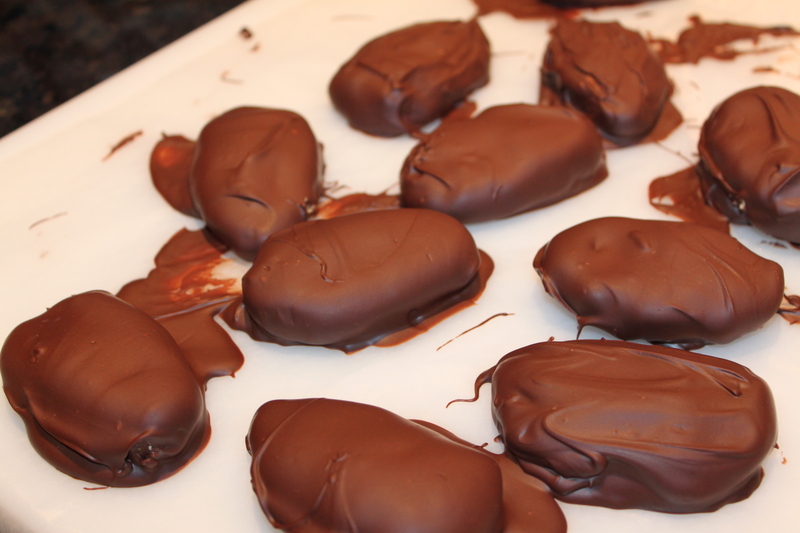 Place the chocolate covered eggs on wax paper again. We placed these back in the freezer to harden quicker. Try and eat just one. We bet you can’t. 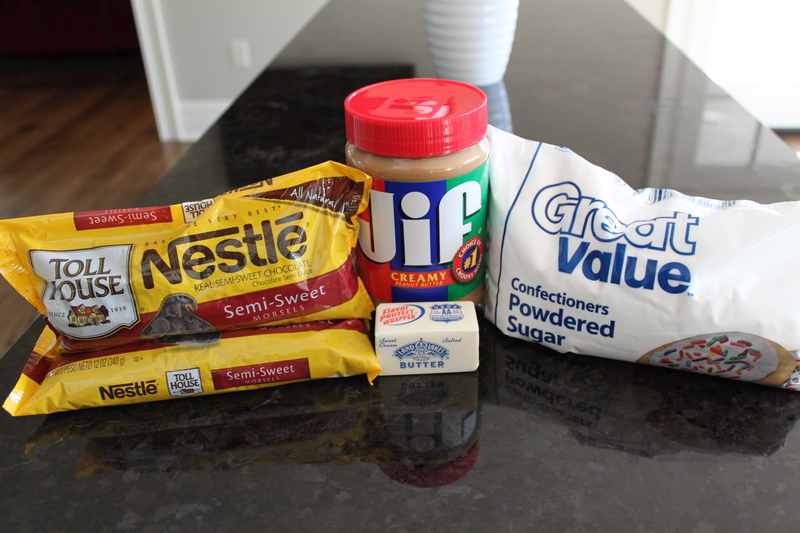 Mix together the powdered sugar, peanut butter, and butter. 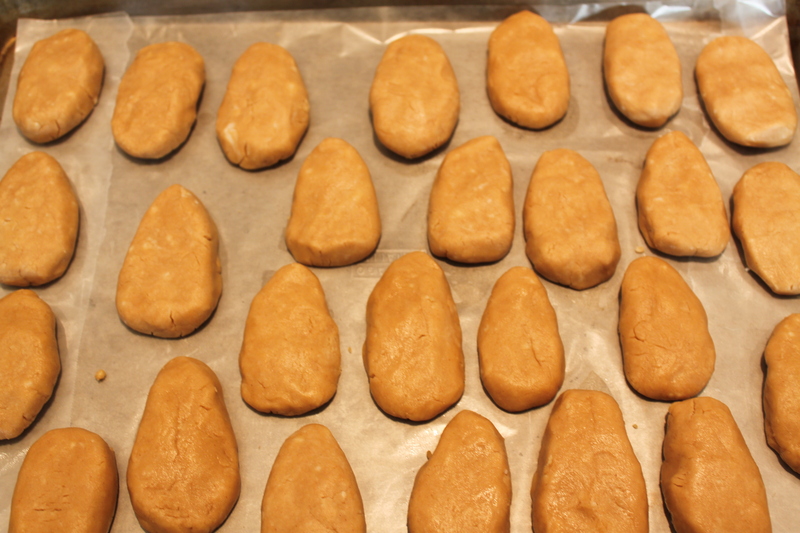 Add the milk one tablespoon at a time until it becomes a nice workable dough. It will be just like Playdoh, it will be really easy to work with. 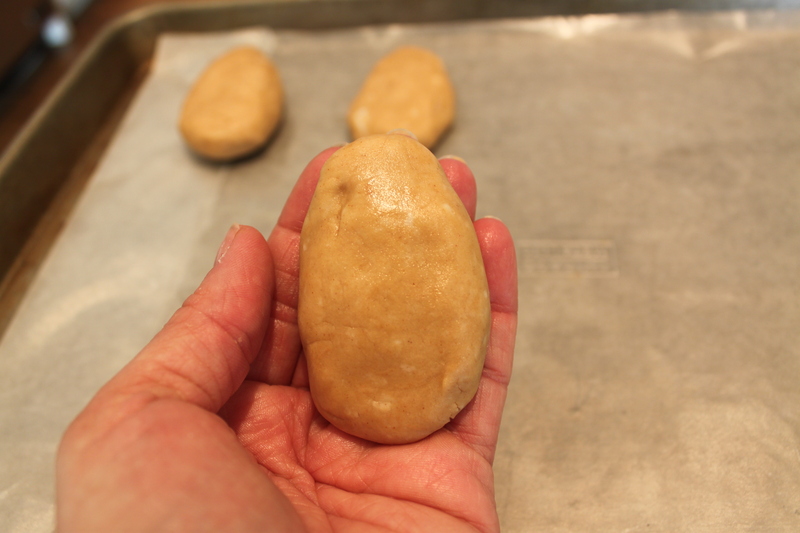 Form the dough into egg shapes, and place in the freezer for 30 minutes. 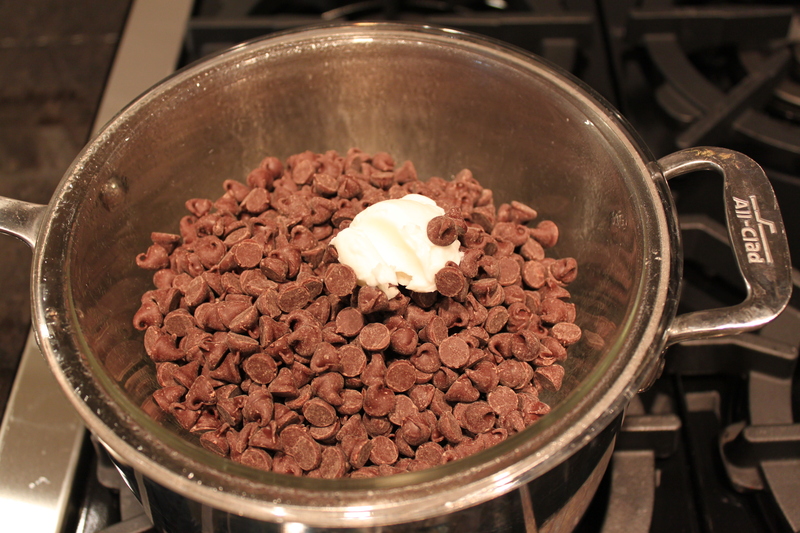 Place the chocolate chips and shortening in a glass bowl. 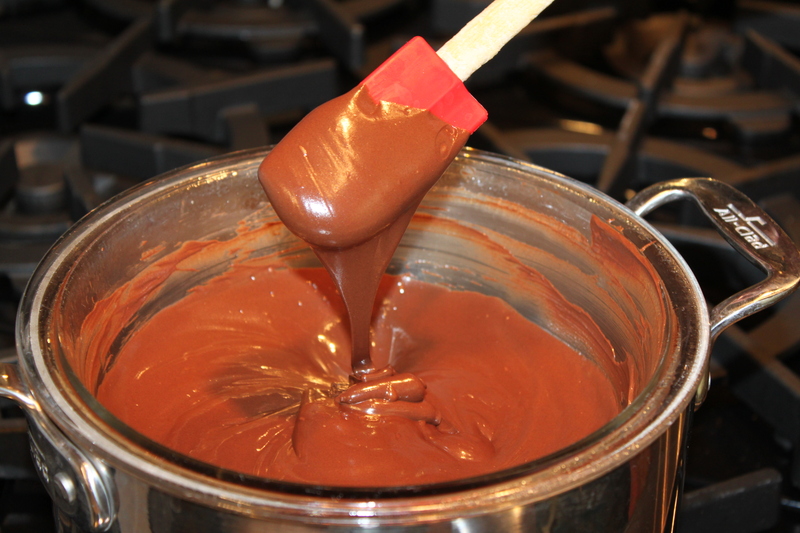 Create a double boiler and heat until melted and creamy. 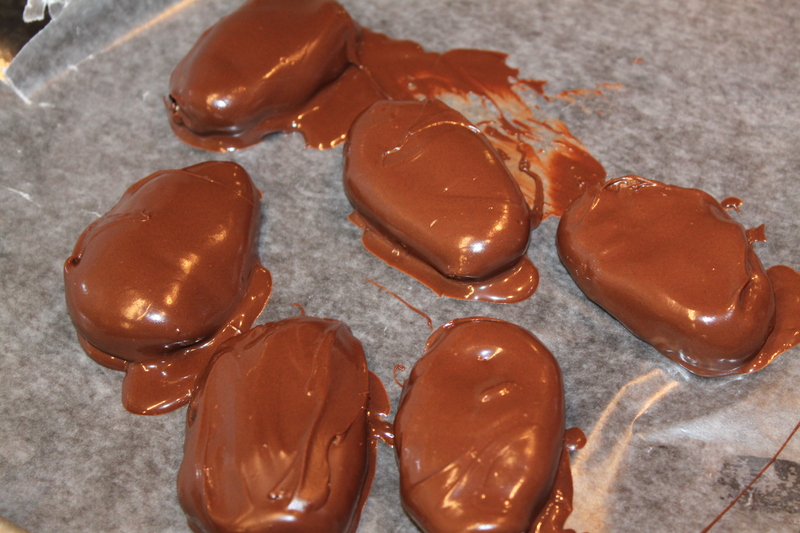 Dip each egg in the melted chocolate and place on waxed paper until set. You can use a skewer and then slide the dipped egg off and cover the hole or place the egg in the chocolate and scoop out with a spoon. Once they are set, you can trim any excess chocolate off that may pool at the base with a pairing knife to make them look pretty. Now that the Lenten season is upon us, we are always looking for a new way to go meatless on Fridays. Don’t get us wrong – we know fried fish is delicious, but we love having healthier (and more flavorful!) options. Browsing through one of the cookbooks Lindsey gave Cindy for Christmas, we found this super simple recipe and decided to give it a try. The result? 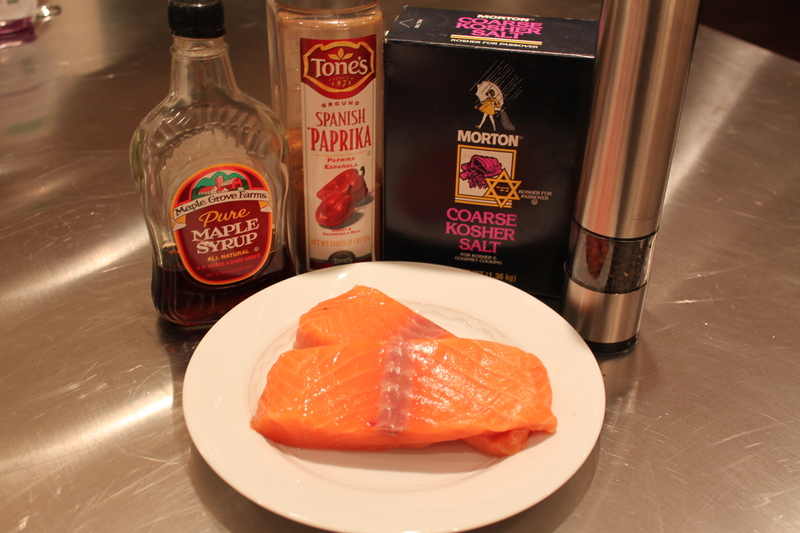 A surprisingly flavorful salmon recipe that tasted a little sweet, tangy and smoky – just like the name says. 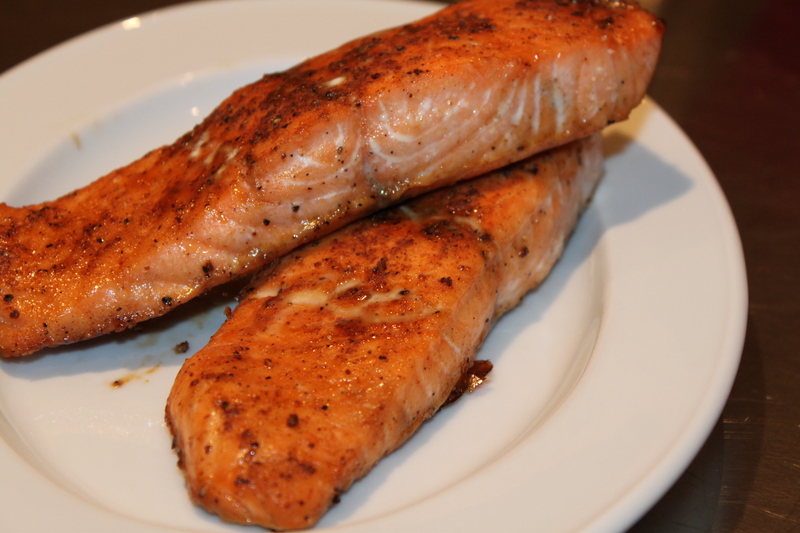 Even Peter – who is not a salmon fan went back for seconds. So much better than fried fish. Another 5 ingredient recipe? We follow the KISS principle – Keep It Simple, Stupid. 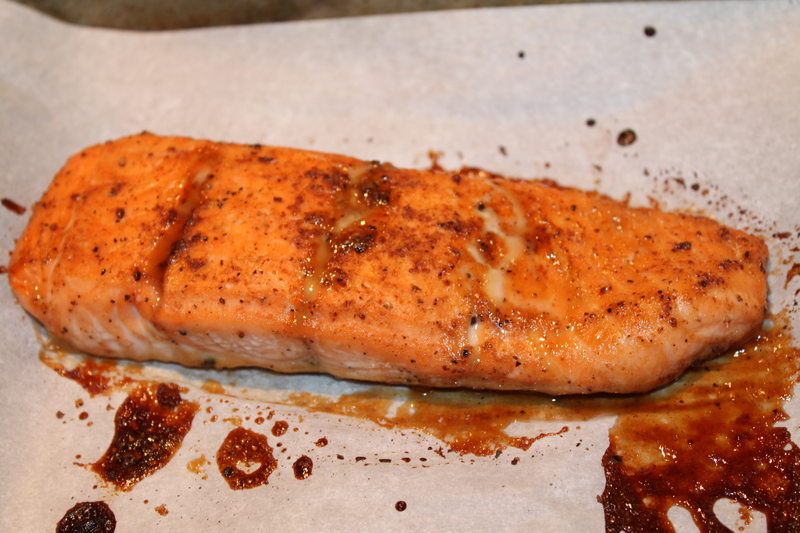 Line a baking sheet with parchment paper and place the salmon on the baking sheet. Mix together the salt, pepper and paprika. 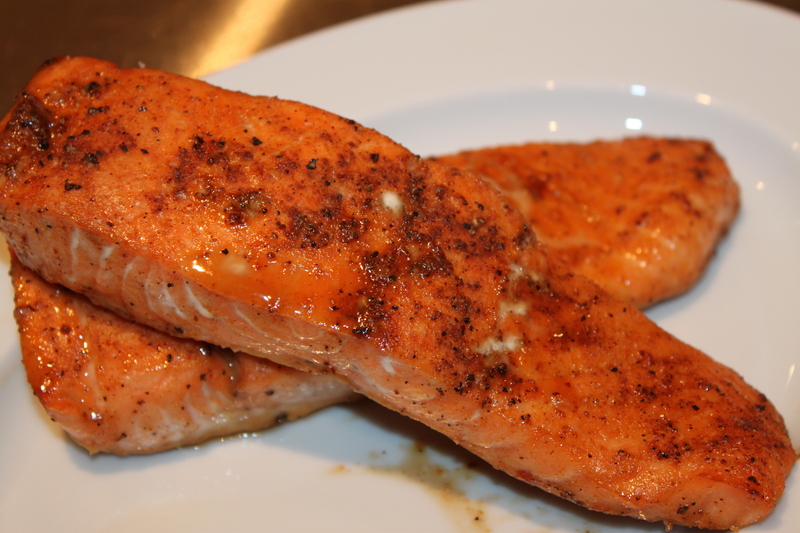 Season both sides of the salmon with the rub. Brush the maple syrup over the tops of the fillets. 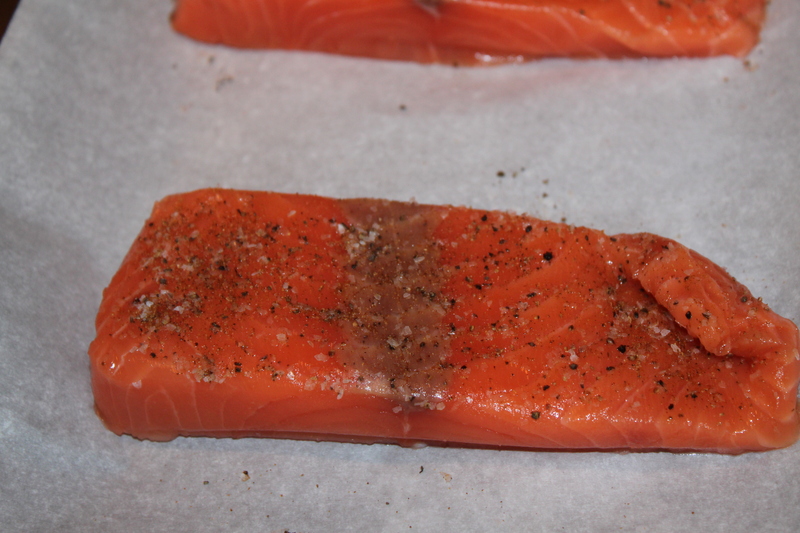 Bake the salmon for 12-15 minutes, until the fish flakes easily and is cooked through. Add 3/4 teaspoon of the salt, 1/2 teaspoon of pepper, and the paprika to a small bowl and mix to combine. 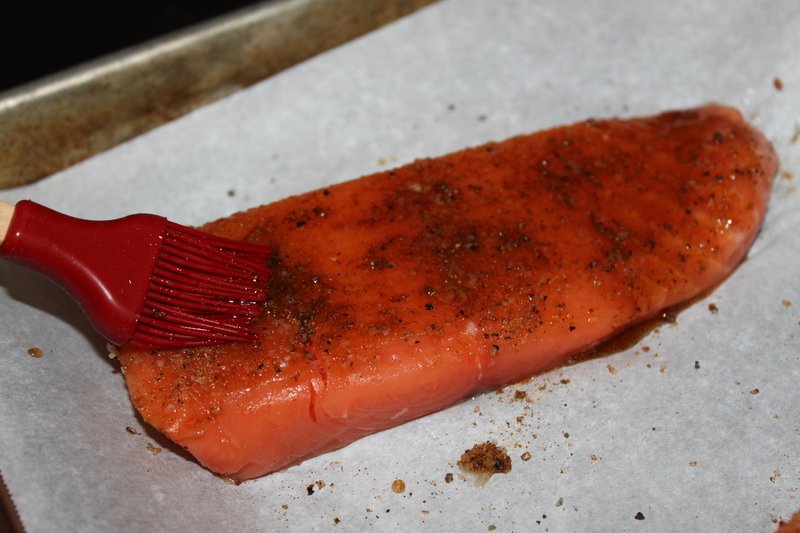 Season both sides of the salmon fillets with the rub and place on the baking sheet. Brush the maple syrup over the tops of the fillets and bake for 12-15 minutes until the fish flakes easily with a fork and is cooked through.